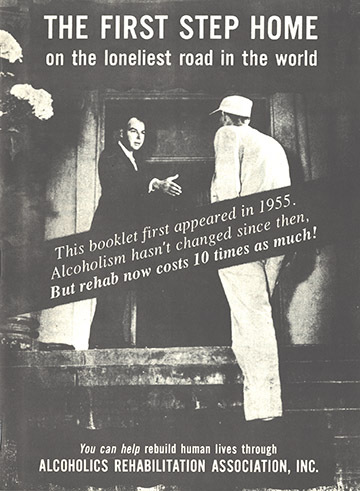 The Association began in May of 1954, when eleven members of the Mission Dolores Group of Alcoholics Anonymous met to discuss ways of helping the alcoholic in the more material phase of his or her return to a useful life. It was the fervent dream of these charter members of ARA to provide a home where the recovering alcoholic could stay, with the companionship and mutual assistance of others with the same problem, and with the support and encouragement of those who had achieved sobriety . ARA was incorporated in August 1955. It was organized to provide home facilities and rehabilitation programs, and to give general supervision and direction to the end that men and women who avail themselves of these facilities may be given the opportunity to regain and maintain sobriety. The Officers of the Association are a Chairman of the Board of Directors, a President, a Treasurer, and a Secretary. They are elected annually by the Board of Directors at a Board meeting to be held immediately after the adjournment of the annual membership meeting. The Executive Committee consists of the President of the corporation and at least four other members of the board. The First Step Home is under the supervision of an Executive Director, Program Facilitator, and a Resident Manager who are responsible for admissions, purchasing, collections, maintenance and supervision of the Home staff. We AA's can say that we do not fear the world outcome, whichever course it may take.This is because we have been enabled to deeply feel and say, we shall fear no evil - Thy will, not ours, be done." – Bill W.